What others consider extra, we consider standard. We pride ourselves on our award winning process, attention to detail and listening to the client and understanding their needs on every project. Building someone’s dream home goes far beyond blueprints, fixtures and countertops; it’s an ongoing conversation and understanding of our clients’ vision. There are many things that Whitestone does differently than other local builders when it comes to building and designing your home. We’ve outlined them below. Engineered I-Joists were developed to replace dimensional lumber in floor systems and can also be used to frame some types of roof systems. They are less susceptible to shrinkage, and therefore they are more dimensionally stable. Heat Pumps provide both heating and cooling. They are currently the most cost-effective form of heating using electricity, upwards of 300% efficient. 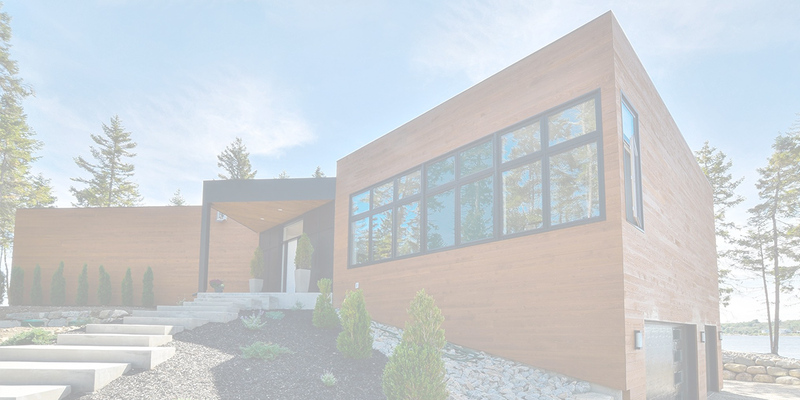 In cold climates, the use of exterior rigid insulation sheathing boards has been a method of increasing thermal performance of the enclosure, thereby eliminating thermal bridging, as well as a means of reducing the condensation potential within exterior wall assemblies. Many of our homes are built with the Universal Design model in mind, making everything in the home accessible to all people with or without functional limitations. The use of a heat exchanger recovers heat energy wasted in various activities such as such was washing clothes and dishes and showering. It’s not something you notice right away, but when you do, you’ll immediately see the value of having electrical outlets in the eaves of your home. This feature is not an extra feature; they are standard with every Whitestone home. Put up those holiday lights and put away those frustrating extension cords. Whitestone uses PointSIX Durastrand Flooring in all its new-home builds, completely eliminating the hassle and expense of leveling imperfections in the subfloor. It features a precise tongue-and-groove profile for a secure fit and is APA-approved for structural integrity. Combined with a properly designed attic ventilation system and some well-placed air sealing, a roof framed with raised-heel trusses reduce the temperature pressure difference between the conditioned living space and the unconditioned attic area, thereby reducing thermal transfer (or heat loss) between those spaces. A solar ready structure is designed to be prepared for simple solar installation, even if the connections are not being fitted at the time of construction. HRV’s provide fresh air and improved climate control while also saving energy by reducing heating (and cooling) requirements. Flooring, trim work and customizable paint colour are just a few key features that transform your basement into an additional living level of your home. We design energy efficient homes to make your life easier, and more enjoyable. We don’t use “green” options because they are trendy, we use them because they work. We follow the R-2000 standard – a set of technical requirements for energy efficiency, indoor air quality and environmental responsibility. The average new home has an EnerGuide rating of 68. All R-2000 homes must have a rating of at least 80. The ways we help make the world a better place to live in. We worked closely with Tamara and Andrew to build our home. They were very helpful, attentive and professional at all times. Through the process and over the years we they have become friends and confidants, who we can rely on for guidance and advice. We highly recommend them and the Whitestone team. Whitestone Developments is a reputable company with skilled tradespeople who are both professional and hardworking. We were pleased with how smoothly everything went and that we didn’t have any of the frustrating delays we experienced with other builders we’ve hired in the past. We were also impressed at how well we were kept us up-to-date throughout the entire job. We would highly recommend Whitestone to anyone considering a renovation or looking for a reliable company to build their home. Whitestone is a fantastic company to work with. I couldn’t be any happier with my new home. They are proffecional, efficient , and very friendly. All our questions or concerns were answered, and addressed promptly. The quality of their work is top knotch, if I had to build again, or if I had to recomend builders to friends or gamily, they would be it.